Rachel Bray is an anthropologist who builds bridges between the worlds of children and adults. Pursuing her passion for listening to, and learning from, young people, she has worked in South Asia and southern Africa for universities, NGOs, development donors and corporate initiatives. Story-telling appeals to all ages: Two seven-year-olds record each others' experiences of school in KwaZulu Natal, South Africa. the way it treats its children". So said Nelson Mandela in 1995, a time when South Africa was emerging from a long struggle with oppression and preparing to build a more just society. I believe that Mandela's words hold true across the globe, and that learning from children is a vital key to positive social change. We all know the importance of consultation in decision-making, but when do we think to include children? My passion is discovering different ways to listen to and learn from children. I like to build bridges between children's worlds and those of the adults who make decisions affecting children's lives. I find this exchange between generations exciting in its ability to offer new perspectives and inventive solutions to thorny problems. Studying anthropology in Durham, England, gave me a fantastic toolkit for this work: How to participate in children's everyday lives, observe closely and record the nuances that often get missed. My doctoral research explored the lives and aspirations of children living and working on the streets of Kathmandu. I then worked with government and NGOs on child labour issues in Nepal's carpet industry, and on child-trafficking across borders in south-east Asia. Being invited to visit a long-lost rural home by street children from Kathmandu was a huge privilege. In mid 2010 I published a book "Growing Up in the New South Africa", the product of five years research with three post-graduate students and Prof Jeremy Seekings. We drew on a survey of young people's experiences and aspirations across Cape Town, and conducted ethnography in schools, families and children's clubs in three neighbouring suburbs; Masiphumelele, Ocean View and Fish Hoek. Historically these areas were designated for 'black, coloured and white' people, respectively. Authors launch 'Growing up in the new South Africa' From left, Imke Gooskens, Sue Moses, Rachel Bray and Jeremy Seekings. Our question was simply 'how have things changed for children in the new democratic era?' The answers are in the book: the first major ethnography of childhood in post-apartheid South Africa. And you can download it free from our publisher, the HSRC Press! My work is now varied. I continue to research how children and their families cope in the face of AIDS and chronic poverty, and to advise policy makers. I also teach university students and practitioners how to use creative, ethical approaches in work with children, and resource corporates wanting to understand youth experience or the generational gaps in their company. "...to address the wrong done to our youth and to prepare for their future. Our actions and policies, and the institutions we create, should be eloquent with care, respect and love". Effective children's participation in social dialogue. In 'South African Child Gauge 2010/11'. Children's Institute, University of Cape Town. Growing up in the new South Africa: Childhood and adolescence in post-Apartheid Cape Town. 2010. HSRC Press. See a review in my multi-media library. Monitoring child well-being: a South African rights-based approach. 2007. HSRC Press. Predicting the social consequences of orphanhood in South Africa. 2003. 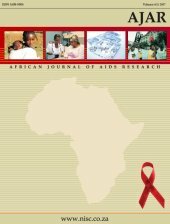 African Journal of AIDS Research, 2 (1). Ethics and the everyday: Reconsidering approaches to research involving children and young people. 2006. Journal of Southern African Anthropology 29 (1&2).